Seriously thinking of buying a new S-Class. Need a car that has excellent comfort and safety due to serious back surgery. Love the car, but have serious concerns about long-term (beyond warranty) reliability and cost-to-maintain. I typically buy-and-hold my new car for 12-to-15 years, and will average about 7-to-8K miles per year. I\'m retired and will use this car primarly for long-distance drives to family and friends. Is Mercedes S-Class reliability and durability improving, specifically regardinghe W222S-Class? Based on my research, prior years had some serious issues. After the warranty expires, what types of repairs might be common for me to experience? Are there any options that I should avoid purchasing, due to poor reliability and/or costly potential repair costs? I had a 2008 S550, significant repair issue after warranty period expired. It become the $1000 Per visit a the dealership car! Maybe they have improved. Th S class will always have certain issues as far as suspension issues due to the weight and air suspension parts wear out over time. 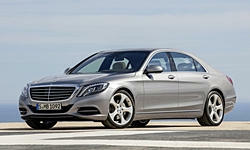 By 2010 most of not all the issues the S class has were ironed out. They are as close to bullet prof as you can get. You are like me. I keep my cars 10 t0 15 years.though it's not my first German car the S class is a completely different car far more complex than the E class or BMW. These cars if maintained right will last at least 250,00 miles. Thanks. If I purchase, I definitely plan to buy the extended warranty plan. Also, I'm careful to service my cars, taking particular care to replace fluids ... often times somewhat before that recommended by the manufacturer. I plan on using this car as a "Sunday driver", primarily for long trips and drives in the the countryside, and keep it in my garage when not in-use. Appreciate your feedback.